Today in Masonic History John Lawrence Baird, 1st Viscount Stonehaven is born in 1874. John Lawrence Baird, 1st Viscount Stonehaven was a British politician. Baird was born in Chelsea, London, England on April 27th, 1874. He was educated at Eton College and Christ Church, Oxford England, though he left school without ever graduating. He served in the Lanarkshire Yeomanry and later the Scottish Horse. In 1894, Baird became the aide-De-camp to the Governor of New South Wales before entering into the diplomatic service. He retired from the diplomatic service in 1908. In 1910, Baird was elected to the House of Commons for Rugby serving until 1916. During this same time he fought in World War I and was mentioned in dispatches for which he received the Distinguished Service Order. In 1916 he became Parliamentary Secretary to the Air Board, later the position would be named Under Secretary of State for Air. The position is in support of the Secretary of State for Air who is charge of the Royal Air Force. 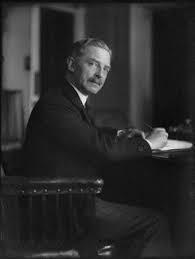 In 1919, for four months, Baird became the Joint Parliamentary Secretary to the Ministry of Munitions. He would later that same year become the Under-Secretary of State for the Home Department, position he would serve in until 1922. In 1922, Baird was appointed Minister of Transport and First Commissioner of Works holding those positions until 1924. That same year he was placed on the Privy Council. In December of 1924, Baird was appointed as the Governor-General of Australia. He was selected from a short list of nominees by the Prime Minister of Australia. The nominee list included a Duke, a Marquess and an Earl. The Prime Minister chose Baird because of his political experience and the fact that he was the most modest figure of the group. During Baird's term as Governor-General which lasted until 1931, there were major change to the role of Governor-General. Prior to 1926 the position of Governor-General was that of a Diplomat and a channel of communication between governments. At the 1926 Imperial Council Balfour Declaration came into effect making all Dominions of the British Empire Commonwealths. This made them autonomous communities within the British Empire. At that point the Governor-General position became a ceremonial position as the direct representative of the British Monarchy. Baird passed away on August 20th, 1941 from hypertensive cardiac disease. While the Governor-General of Australia, Baird was the Grand Master of the Grand Lodge of New South Wales from 1925 to 1930.